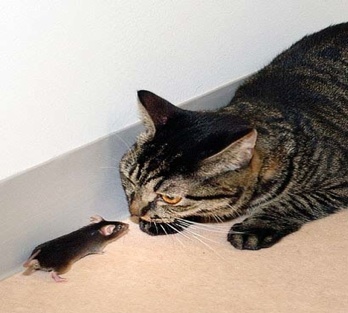 Japanese scientists have created a genetically modified mouse that is not afraid of cats. Researchers at Tokyo University managed to turn off the receptors in a mouse’s brain that react to the scent of its main predator. They wanted to prove that fear is genetically programmed and not, as is commonly believed, the product of experience. Rest in peace, dumb little mouse.